Autumn is a great time to ride in the lakes as the colours are fantastic. This ride starts from the car park behind wheelbase in Staveley. The great thing about this car park is you get a bike shop and a cafe all in one place! We would highly recommend making a visit to Wilfs as the food is fantastic. 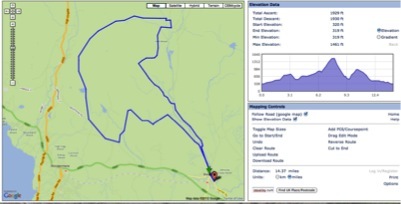 The route leaves Staveley and makes its way over towards Dubbs reservoir. You can take several routes to this bridleway, we just wanted to be off road as much as possible! The climb starts and continues at times loose and technical. It certainly tests your climbing and fitness ability! However there is plenty to take your mind off the pain with great views in every direction. I needed a picture for the school Winter reading Comp! Line choice is key to the success of this climb. It is certainly a good challenge! Towards the top the trail levels before dropping over the other side down to Kentmere. The descent is awesome testing you in every way. This is a classic lakeland descent that has everything! At the bottom you soon reach Kentmere which in itself is worth a visit! There are numerous options back to Staveley from here. We decided to take the shorter option as the sun was starting to drop behind the fells. Just past the church the trail heads right down to Kentmere Hall. The tower of the hall was built around 1375 by the Gilpin family. The bridleway heads off left and climbs gradually. At the top the bridleway undulates before reaching the river. There are two options here to either go straight on or left. Our usual descent is left following the river before taking on the challenge of crossing it! Make sure you are in granny gear to get up the other side! Once the short sharp climb from the river is over you go through the gate to start the descent down to the main road leading to Staveley. The descent starts as a grassy trail but there is a need to avoid the ruts and bog! It soon changes into a rocky descent with a river crossing thrown in for good measure about half way down! It is not long before a gate is reached between houses and the trail leads out to the main road. Turning right takes you back to Staveley. This area is fantastic for riding, we would highly recommend it!